The body naturally maintains a level between acidic compounds and alkaline, or basic compounds. This balance is necessary for the proper function of different cells and proteins in the blood. When the blood becomes too acidic, it results in a problem known as acidosis. Acidosis can be caused by the body producing too much acid or the ingestion of acidic substances or due to poor lung function, the Merck Manual explains. 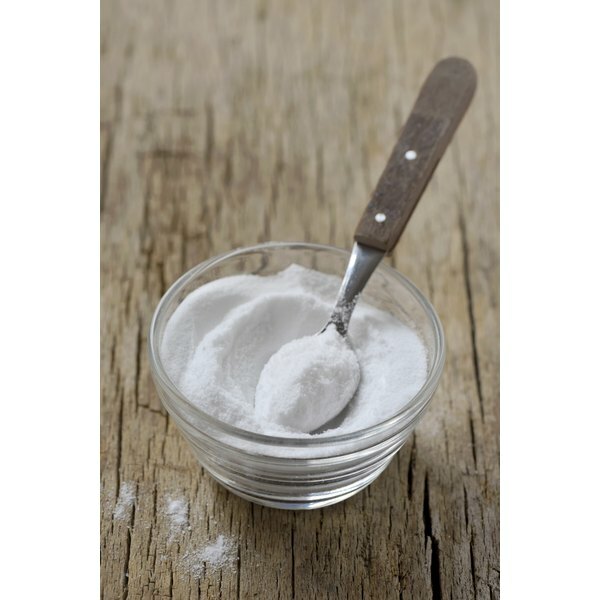 Sodium bicarbonate is an alkaline chemical that is naturally present in the blood and which can be administered to help restore the body's pH. Have your blood gasses measured. Blood gas measurements work using a sample of blood, MedLinePlus explains, and measures the levels of a number of different compounds in your blood, including your blood pH and the amount of sodium bicarbonate in your blood. The pH of the blood reflects the balance of acids and bases in your body; a low pH is indicative of too much acid. This step is essential before using sodium bicarbonate to increase your body's alkalinity because having blood that is too alkaline can be very dangerous. Normal blood pH in the arteries is 7.38 to 7.42, MedLinePlus notes. Because this test involves drawing blood from the arteries, it should only be performed by a medical professional. Take sodium bicarbonate orally. Sodium bicarbonate can be taken orally in doses that range from 325 to 2,000 mg and can be taken one to four times per day. The dose that you will need depends on the severity of the acidosis as well as your body size. Have your blood gasses retested to see if your arterial pH has returned to normal. If your body is not responding to oral sodium bicarbonate, you can also have a solution of the compound infused into your blood. Again, the exact amount of sodium bicarbonate will depend on the severity of your acidosis and your weight; this can be determined by your doctor. Do not attempt to take sodium bicarbonate without consulting with a medical professional. Taking too much sodium bicarbonate can increase your pH too much, and that can be very dangerous. What Is the Meaning of a High LDL Cholesterol Calculation?